Whirlpool conducted research to find the nation’s most annoying noises for their #NationalQuietDay campaign. 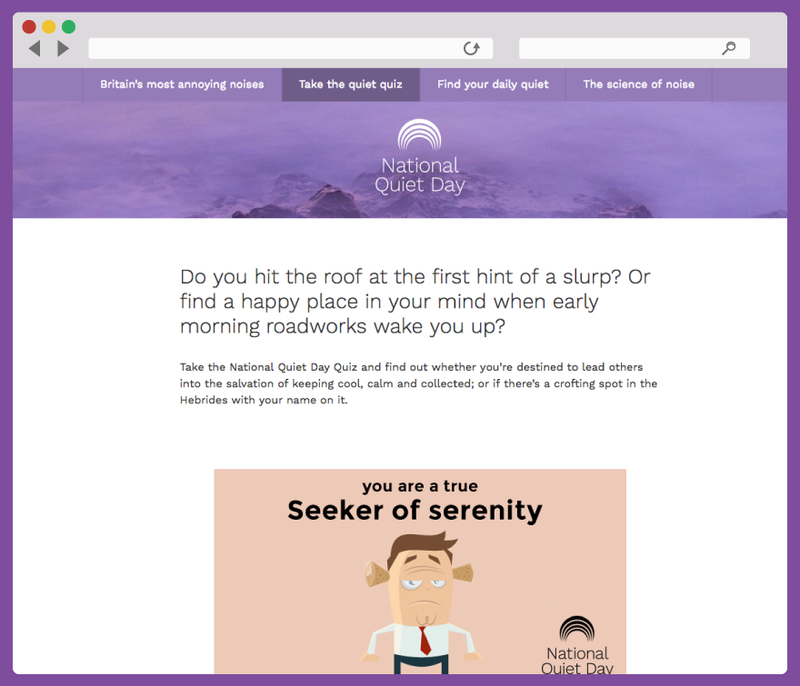 We designed and created an animated quiz for the campaign which featured on Whirlpool’s #NationalQuietDay microsite. Each question had a short intro animation relating to the annoying situation and asked participants to pick their reaction in order to determine how badly annoying noises affect them.